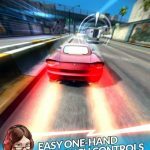 Miniclip’s On the Run is a racing game for Android and iOS mobile platforms, and the premise here is that you are on the run from the police, racing to make it to the next checkpoint. As the game says, you can catch the slipstream of other cars to go even faster, and build up a combo for super-speed. 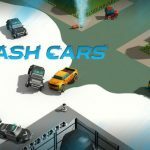 You can also smash other cars to earn boosts and elude the cops even faster. And when it comes to choosing your ride, you can choose from a large pool of options, and upgrade it as you go along to make you more effective going forward. And we’re talking about a lot of vehicle options, including transporter trucks and even tanks. If the game is familiar to you, it happens to be based off the browser game of the same title. We’re going to leave our game description at that, but you should read on if you’re looking for some useful On the Run tips, cheats, and tricks that you can use when trying to get away from the law and/or reach the next checkpoint in time. On the Run is not one of those puzzle games that you can take forever to solve. It is, as we said, a racing game, and one where you have to reach checkpoints within a certain amount of time. You can go faster by collecting lightning pieces that will appear in levels at random, and when you collect three of these pieces, you’ll earn both a super speed boost and invincibility. That means you can ram your vehicle against any other car and earn coins while doing that. As a bonus tip, you can also drive up the ramp trucks, and if you successfully leap over a line of cars, you can also get a speed boost and invincibility. 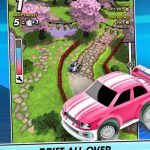 Miniclip says that slipstreaming would help while playing On the Run – this is the act of driving right behind another vehicle in order to gain additional speed. If you’re able to slipstream behind several vehicles consecutively, you’ll get more momentum for your combo and drive faster as well. As the main thing in this game is speed, you should always upgrade your vehicle when the option is available. If your stats, particularly your top speed, are too low, then you can’t expect to go too far. 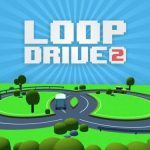 And the rewards for going far enough can be quite interesting – these include new unlockable tracks, which you can unlock if you go a certain distance. A run is worth one unit of gasoline, and you’ve got four of those at the start. But since we understand it can be frustrating to wait for your gas to automatically replenish, we suggest using the time lapse cheat by moving the time on your phone by 30 minutes per unit of gas. The races are your best source for coins in On the Run, but you can also hit the Free Coins button when it lights up. That will direct you to an ad video that will reward you with coins for watching it. You can always wait 15 minutes or so after the game runs out of videos to show you.